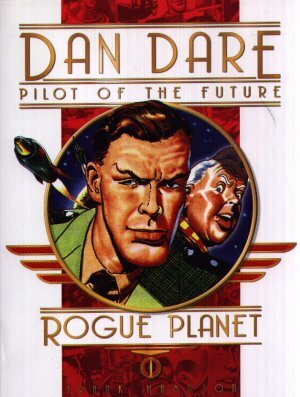 Dan Dare Rogue Planet is the complete reprint of the story that ran in the Eagle Comic from Volume 6 #48 through to Volume 8 #7. It features the artwork of the Dan Dare creator Fank Hampson. Dan and his crew are on the planet Cryptos and must stop the evil Phants invading - Dan Dare's most dangerous adventure yet! There is no content page, so the list below is of my own creation. Dimensions : 23cm x 30.5cm with 144 pages. Who's Who in Dan Dare?